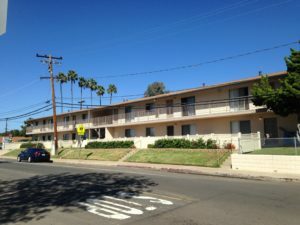 The 50 Unit Apartment Building (Glenhaven) 4 Unit Contiguous Fourplex (Hurlbut) at 8501-8549 Glenhaven Street/8562-8568 Hurlbut Street, San Diego, CA 92123 has been sold for $8.4 million. The apartment complex is comprised of five, two story structures. Each of the five structures includes eight 2 bedroom 1 bathroom units, one 1 bedroom 1 bathroom unit, and one studio. The total unit type count is 40 2BR/1BA, 5 1BR/1BA, 5 Studios. Interior finishes include laminate flooring in the kitchen and bathrooms – carpet in the living areas/bedrooms. Forty of the units face interior courtyards in which the downstairs units have private fenced patios. All fifty units have backdoors which creates easier access to the tenant’s assigned covered parking. The property has one centrally located laundry room with six washers and dryers. Each unit is separately metered for gas and electric and wired for cable TV also Included in this sale is 8563 Hurlbut Street. 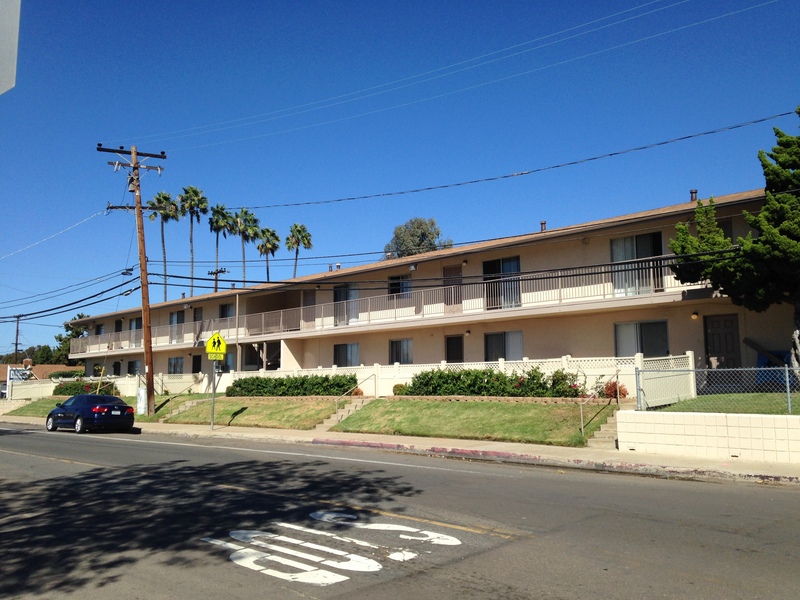 This contiguous parcel is comprised of four 3BR/2BA units.